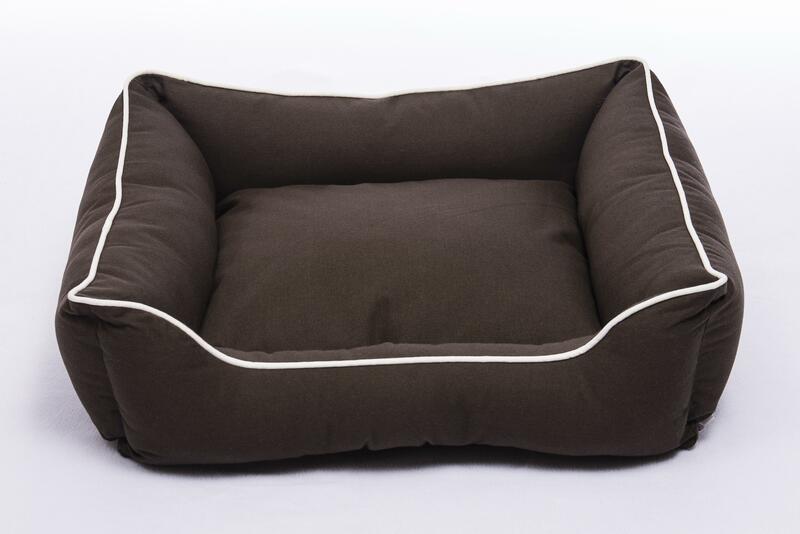 Rectangular Lounger Bed for Small Dogs. Size: 15 ins x 19 ins / 38 cm x 48 cm. 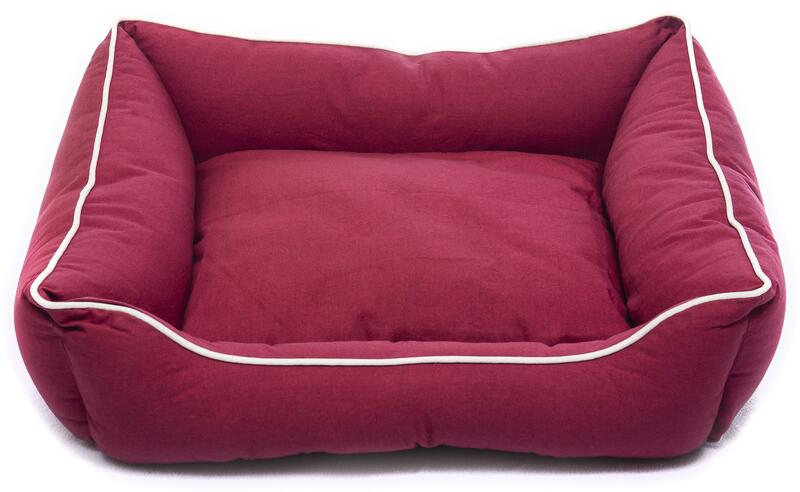 Click here to see our range of Lounger Beds for Dogs in other sizes. The Dog Gone Smart Bed Co. introduced Nano Technology to the pet industry. 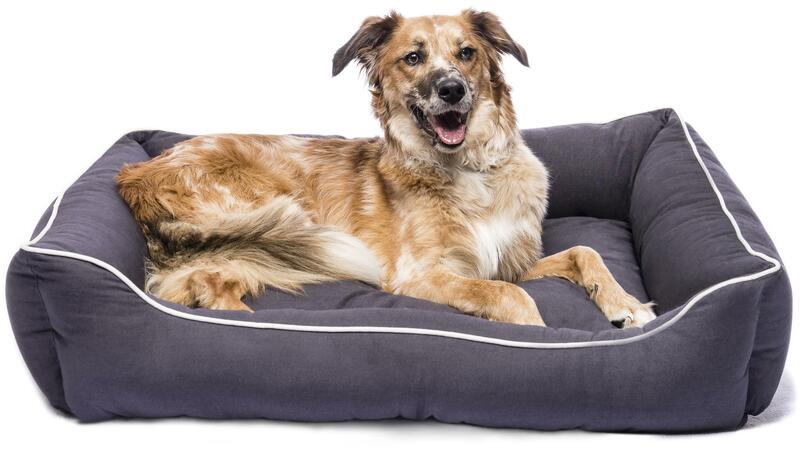 Using the performance fabric finishes NanoSphere® and ActiveSilver®, these beds stay clean and kill bacteria naturally, standing up to the wear and tear of the most active dog. 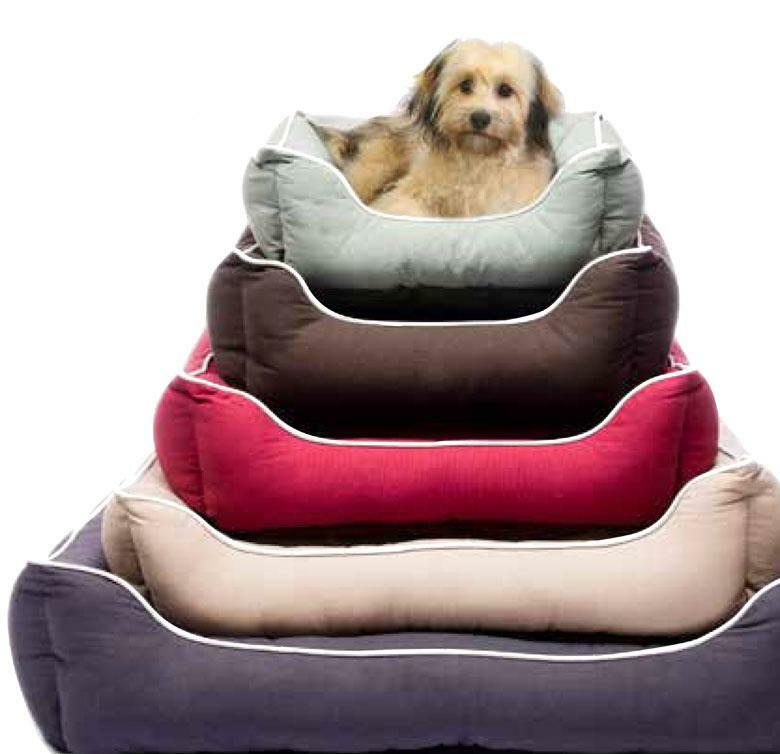 This Dog Gone Smart Bed may be the only dog bed you will ever purchase! 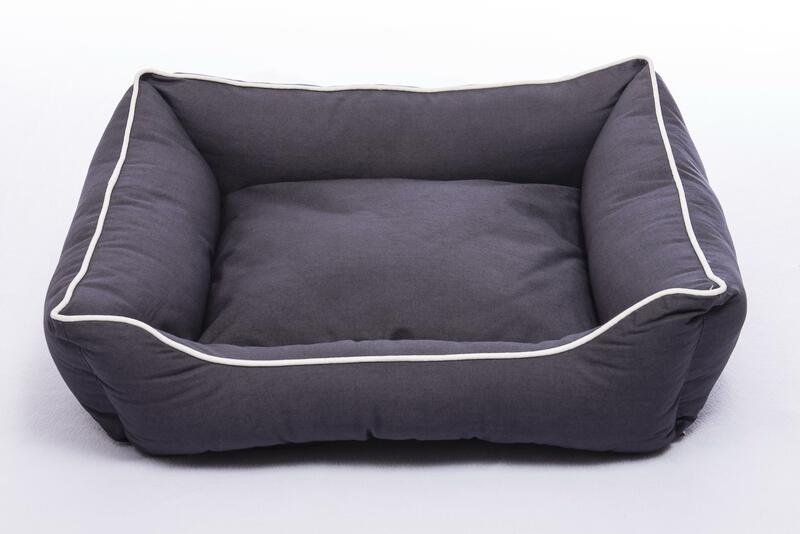 The fabrics are non-toxic, pet safe, environmentally friendly and earned the Bluesign® health seal of approval! Extremely resistant to liquids, dirt and coat oil. Contains ActiveSilver, a permanent antimicrobial that kills bacteria and viruses eliminating doggie odours and creating a healthier environment for your dog. Protective finish remains 100% functional even after 60 washing cycles. 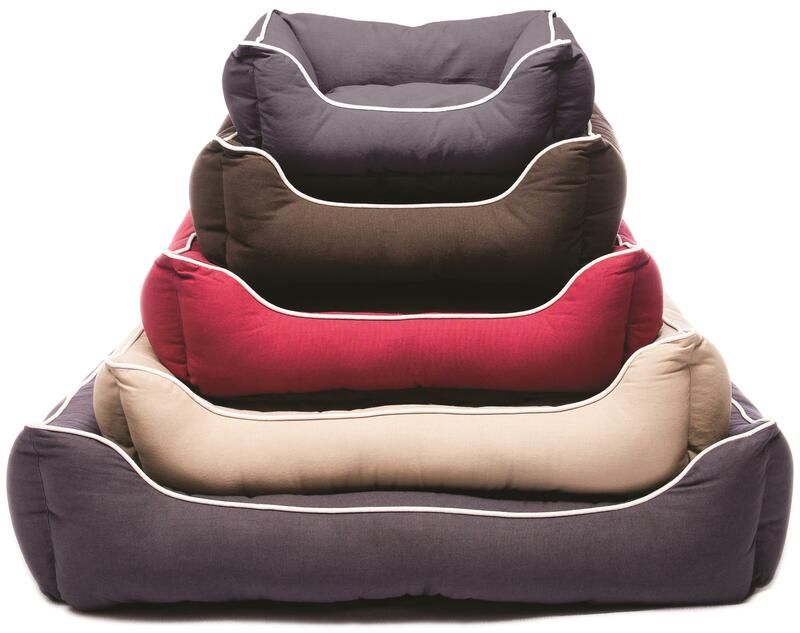 Highly durable and abrasion resistant, these beds will last longer saving you money and time. Requires less washing and dries 6 times faster than traditional fabrics. Each outer cover has a security pocket for the end of each zip, making it difficult for your dog to open the zip. The inner cover is zippered, allowing you to easily re-stuff the bed if you choose to. Nano-Breaker Repelz-It Dog Coat - available very small and large dogs.. End-of-season reduction to $25. 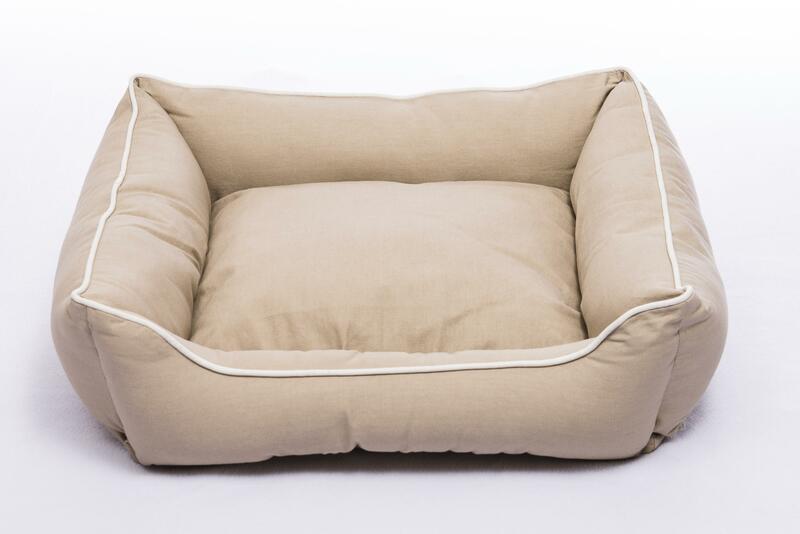 Large Rectangular SmartBed with Sherpa in Sand - SAVE $50.